Market Finds: Would You Park This BMW ‘Batmobile’ Replica In Your Garage? Would You Park This BMW ‘Batmobile’ Replica In Your Garage? 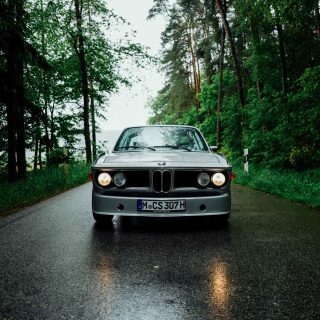 With original 3.0 CSL “Batmobiles” fetching high into the six-figure market, owning an authentic Lightweight E9 is simply now beyond affordability for the average enthusiast. 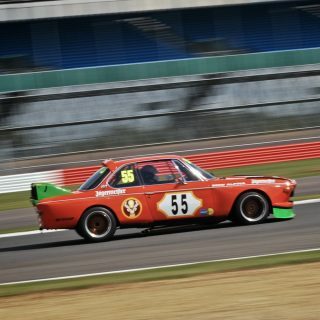 If you dream of the big winged Bavarian Coupé but lack the coin for one of the actual homologated European Touring Car Championship legends, why not consider a tastefully-built tribute? 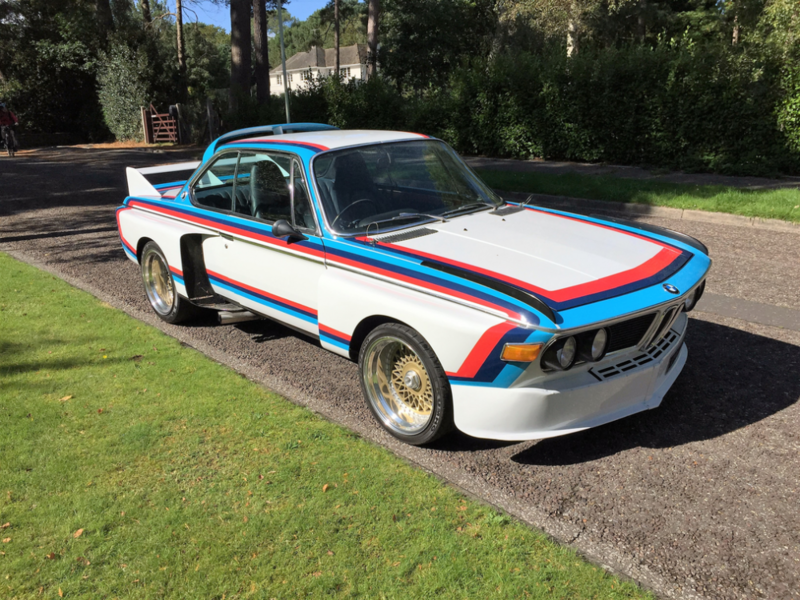 This Alpina-converted wide body 1972 BMW 3.0 CSi looks every bit the part of a Group 2 CSL…at a fraction of the cost. 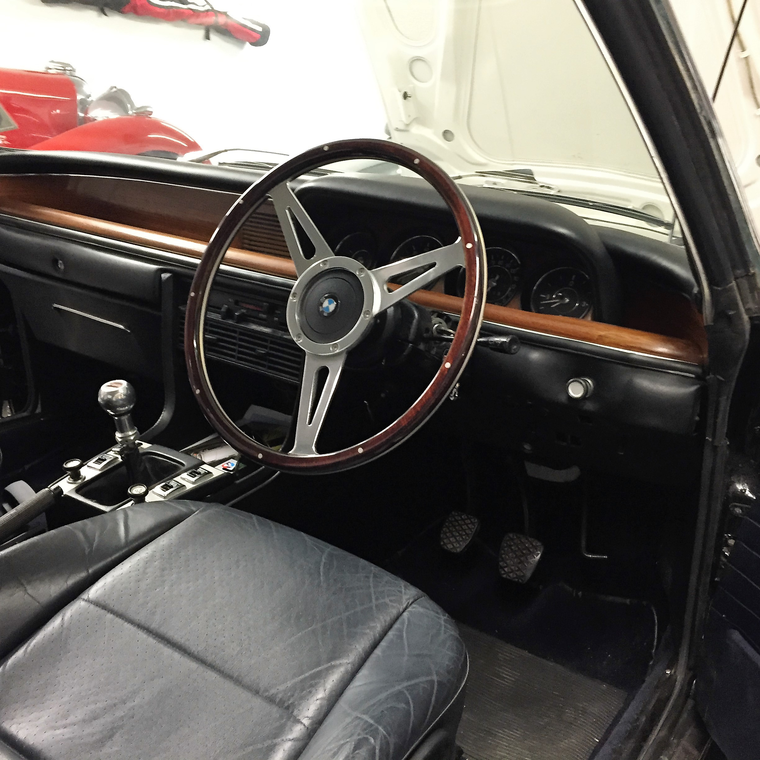 This right hand drive E9 started out life as a standard CSi model and sold new from a dealer in London by the name of Motor Tune. 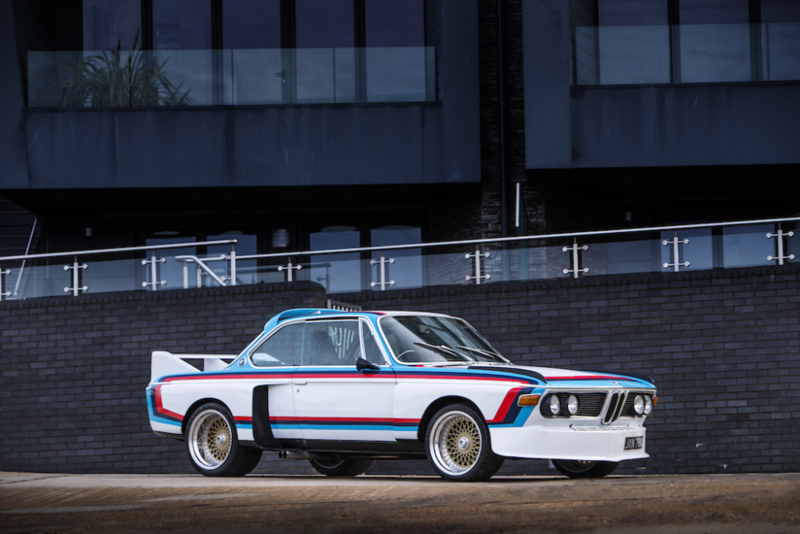 Sometime in the late 1970s, the car was sent to BMW’s motorsport partner, Alpina, for some serious cosmetic surgery. The performance house gave the CSi the lot—the entire CSL Group 2 spec aero package. 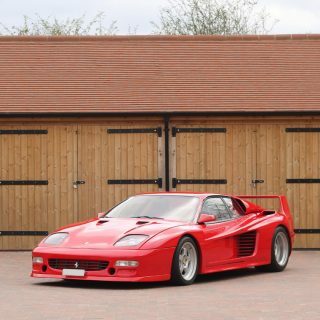 The kit includes a massive front chin spoiler, widened aluminum fenders and quarters, top fender mounted wind splitters, trailing roof spoiler, and, of course, a massive rear wing. 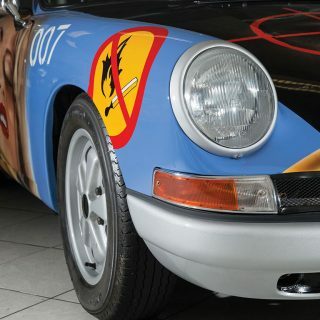 Its history isn’t made entirely clear, but the car was purchased by a BMW specialist and avid enthusiast sometime in the late ’80s. 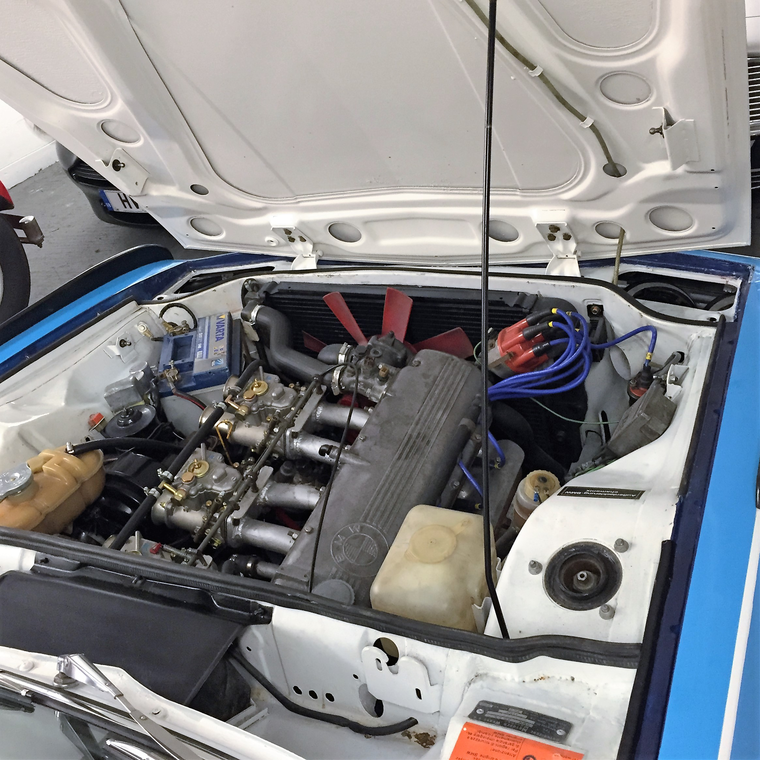 After sitting in storage for more than two decades, the owner treated the car to a three-year ground up restoration costing in excess of $115k. The body was taken down to bare metal for a full inspection that revealed a good bill of health. 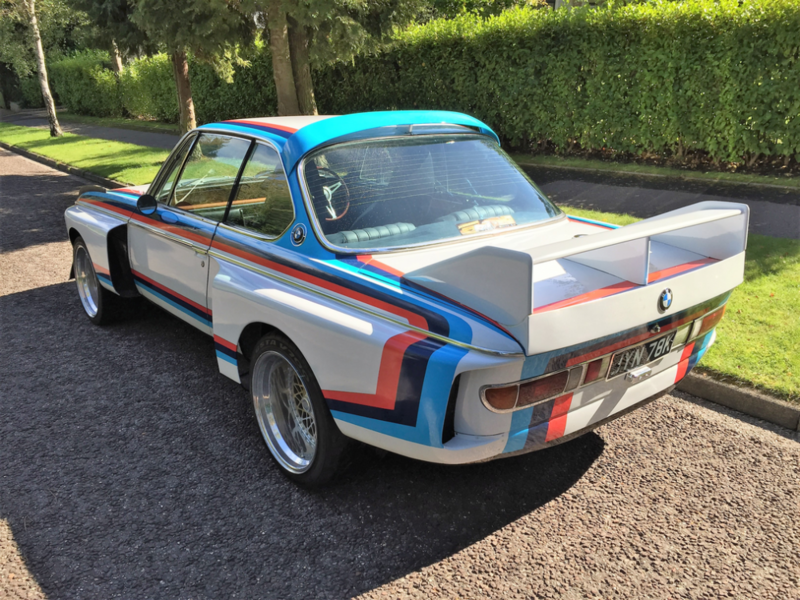 The car was painted white with traditional BMW Motorsport stripe livery with dark blue upholstery and fitted with heated electric front bucket seats—comfort for those extended grand tours. 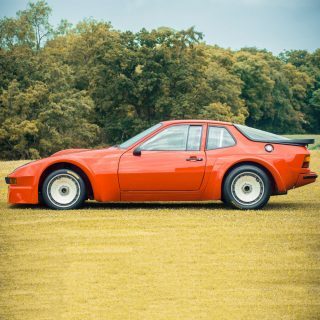 To ensure the tough looks weren’t all bark and no bite, its mechanicals were upped to match the aggressive aero parts. Underhood lies a 3.5-liter straight-six constructed with twin choke Weber carburetors, larger valves, high lift camshafts, balanced prop shaft, a straight stainless steel side exit exhaust, and a five-speed dogleg Getrag transmission. For extra traction—and to fill in the widened body—18×12 inch front and 18x 14 inch rear center lock mesh wheels wrapped in sticky Kumho rubber were mounted over the four wheel disc brakes. Included in the sale are restoration invoices and MOT road inspection valid through September this year. With a robust powertrain and wild period widebody aero all recently restored, this CSi might not be an original Batmobile, but it looks to be a pretty good compromise. 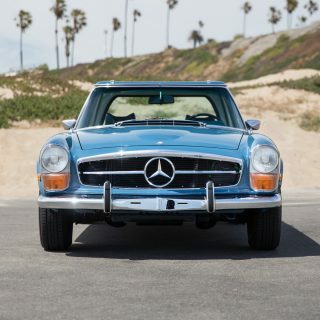 3500-cc 3.5-liter straight-six engine with twin choke Weber carburetors, upgraded valve train, five-speed Getrag dogleg transmission, four wheel independent suspension, and four wheel disc brakes. Wheelbase: 103 in. 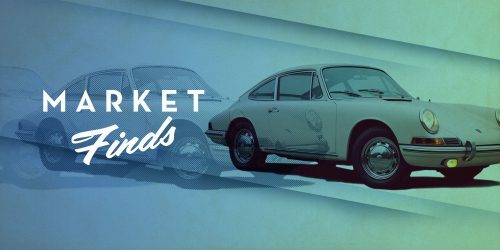 Journal Which Car Company Produced The Best Brochures? I wouldn’t consider 18″ wheels as period correct. Why not? Work documented by a famed BMW tuner and builder, using the correct parts, and receipts. The seller isn’t representing it as something it’s not, just the opposite. Par for the course, GS’s misconstrued judgements are equal parts “The Song Remains the Same” and “Ramble On”. As far as attracting the cops for the wrong reasons, how you drive does that. What you drive is of little consequence, in my experience. 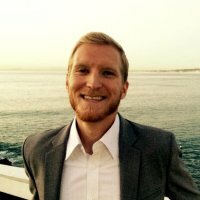 My experience has not been so lucky as yours. My previous car was a 1995 Thunderbird LX 4.6 (with factory V8 fender badges). I currently drive a 2004 V6 Mustang. My driving style has not changed. The Mustang gets noticeably more unwanted attention. Point being, that where I live, what you drive is a factor. I’m so glad my father talked me out of a bright red Mustang GT. Back to the subject BMW, I’d have to put the correct body panels back on so that the car would appear to be stock. I would leave the drive train as is. I think it is cool. It is exactly what we would have done in the days this car was new and if we would have had the money for it. In my opinion this is completely period correct. No. Even with a repaint and tasteful rims, it would still attract too many cops. In my opinion, this looks ridiculous. It looks like someone is dressed up in a costume that doesn’t fit them.